Reeds House #5 is a corner beachfront condo unit that is ideally situated within tropical gardens and local palm trees. The condo features 2 bedroom suites with king beds (one of which can be converted into 2 twins), a full kitchen, living room, and indoor and outdoor dining areas. While there is a private plunge pool on the patio, most guests will opt for the beach which is only a few steps from the garden patio. There guests can lounge, swim, or snorkel with the condo’s provided gear. Golf and tennis are just a 15-minute drive away. Reeds House #5 is a beachfront condominium with great sea views from all rooms. It is located on the ground floor at the northern end of the building with direct access to the garden and beach. A spa pool, surrounded by tropical plants and a small lounging area, also allows for island relaxation. This corner unit has a dining terrace with views of the spa pool and beach. It consists of a dining table (seats 6) and two carved coral stone consoles with mirrors. In addition, a wet bar and bar fridge are available. Two air-conditioned bedrooms with ceiling fans are featured, both with en-suite marble top bathrooms. Golf and tennis available with a 15-minute drive to Sandy Lane Hotel and/or Royal Westmoreland. A cook can be provided at an additional cost. The villa looked exactly like the pictures. It was very beautiful and romantic. I believe it was the best villa there given it was on the end and so close to the beach. Great experience working with Sharon at WhereToStay.com and will do so again in the future. Fabulous holiday at a great apartment in the most amazing location. Reeds House is a very special place on Barbados. 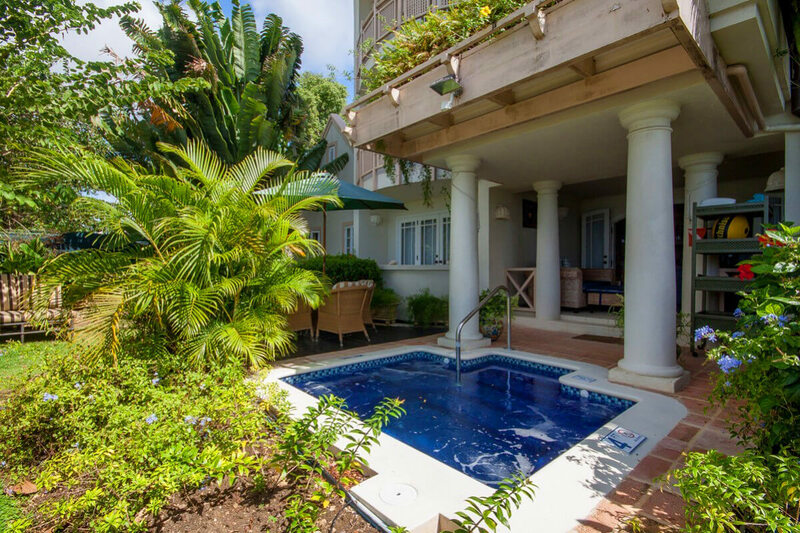 Reeds House offers a peaceful and tranquil haven but it is within driving distance of the busier beaches, many fantastic restaurants, and Holetown. Surf’s Up is a very nice, ground floor apartment, offering plenty of inside living space and good outdoor areas for dining and relaxing in the garden or by the sea. The decor is a little old-fashioned and the furniture a little dark, but it doesn’t detract from the very well-sized apartment and it’s beautiful location. The staff at Reeds House are incredibly helpful and Andrew, from WhereToStay, provided a superb service during the reservation process. I highly recommend staying at Reeds House - a perfect location on a beautiful island. I can’t speak highly enough about Andrew and WhereToStay. We received great service at all stages of the reservation process, with superb communication and a very friendly and efficient service…. We will definitely book with WhereToStay again.